Living in Hawaii without air conditioning tends to make ‘traditional’ Christmas decorations feel a bit silly! I do still like to decorate, though, but I try to come up with less usual projects that make them suit our space a bit better. That’s how the idea for this magical fairy snow globe came about! A fairy figurine! Make sure she fits in the jar you plan to use. You can small or large – the choice is yours! Other fairy garden-type elements. I added some artificial plants. Signs, mushrooms, turtles, gnomes, and plaenty of other things would be cute, too! 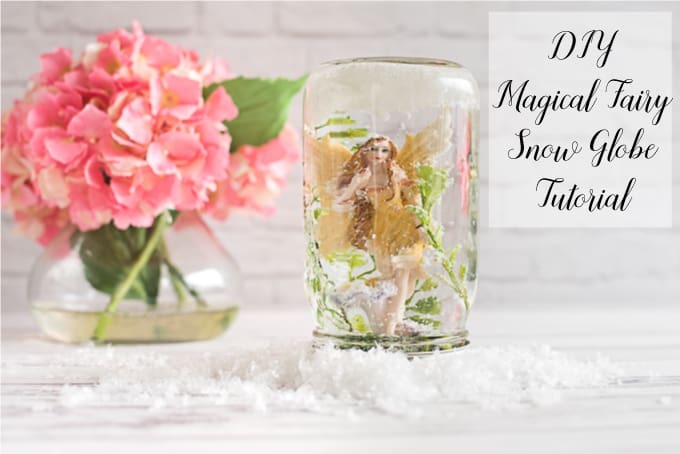 Play around with your jar and fairy to make sure she really does fit in there! If she doesn’t go ahead and find a new jar before gluing anything down. Some people glue the lid to the band, but I decided not to. For one, I was using a new canning jar and trusted its seal. Additionally, I was afraid adding glue might actually make the seal worse and create gaps! Instead, I jumped straight to gluing my fairy in place with a medium CA (the technical name for all varieties of “super glue”). Add your extras! If you have multiple elements to add, I highly recommend playing around with them and doing a ‘dry fit’ before gluing things down. After allowing the CA to set, I started adding faux greenery. I put a big dollop of hot glue where I wanted to place the plant, then a tiny dab along the back of my fairy’s wing to help hold it in place. 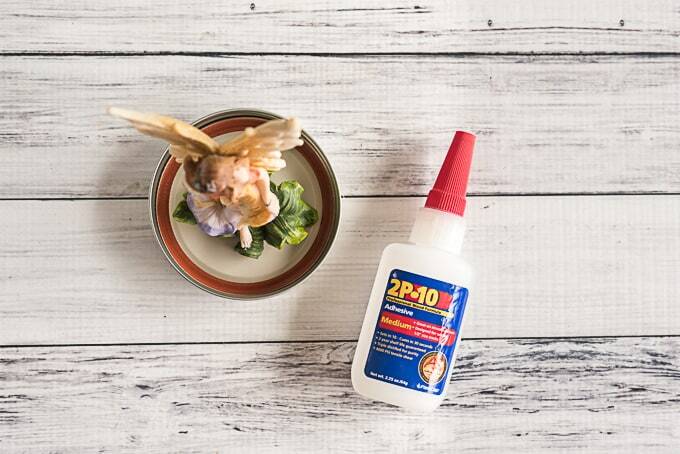 Hold the plants in place until the hot glue has turned translucent, which only about 20-30 seconds for most hot glues. While your glue is drying, add a little fake snow (if you’re using it – reminder, it will float!) and a lot of glitter to your jar. The exact amount of glitter you’ll need will depend on your jar, but I used about half an ounce in my pint jar. It’s difficult to know exactly how much volume your fairy and her friends will displace, so I recommend doing the next part over the sink! 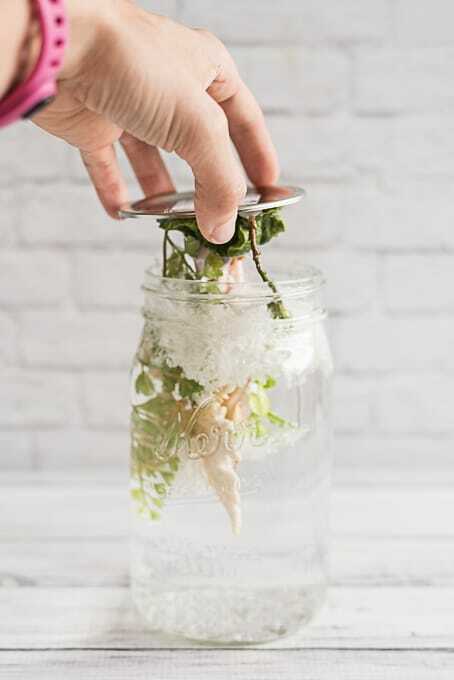 Fill your jar most of the way with distilled water and add a little bit of glycerine. The glycerine is optional, but it thickens the water to make the glitter float a little more on the way to the bottom. If you add too much glycerine, the glitter will just stick to the bottom, instead. 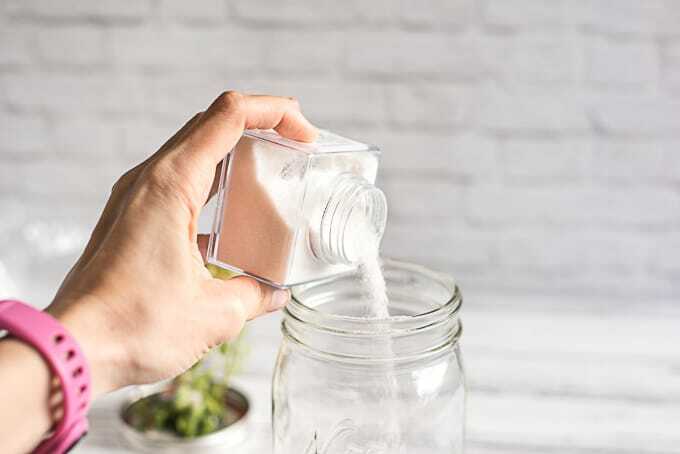 For a small jar (think baby food sized) you only need a drop or two, but add a bit more for larger jars. With your jar in/over the sink, carefully lower your fairy into the jar. If you can tell there will be a lot of empty space, add more water. You want as little air as possible in the jar! 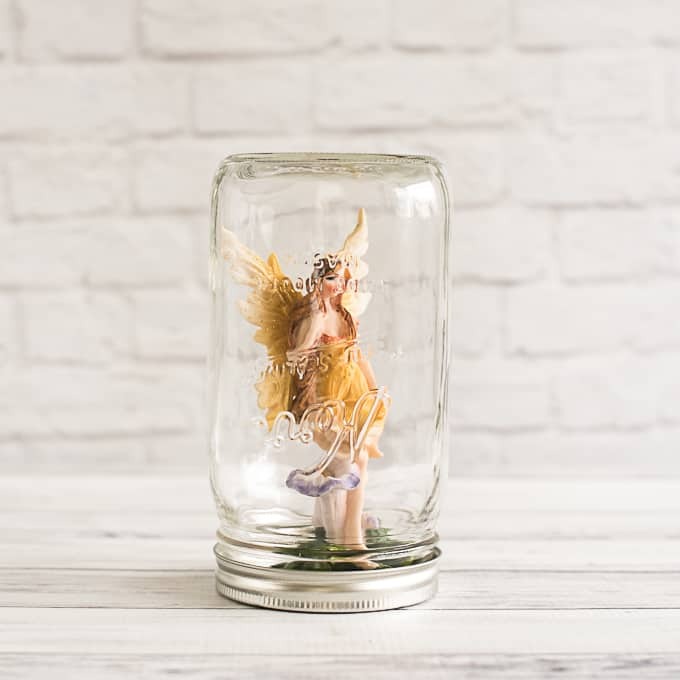 Make sure to position your fairy so any text or designs on the jar aren’t blocking her pretty face. Screw the band in place and tighten it firmly. 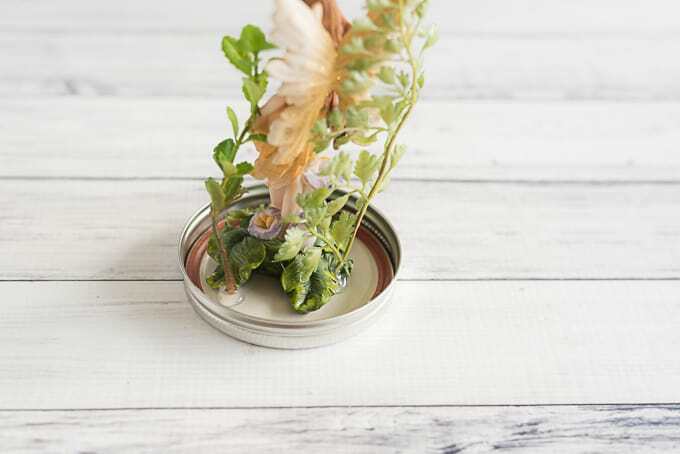 If you’re using an upcycled jar with a less secure lid, you may want to glue it in place. I love your little fairy so much! Definitely a creative idea for a snow globe. Thank you! Amusingly, my husband asked if he could bring her to work! She’s (presumably) still on our counter at home – we’ll have to see if he still wants her on his desk after we get home. Great Idea – I have a lot of thoughts for gifts ( a little “elf”) for my grandson – (“frozen” elsa) for my daughter, etc. Where does one find fake snow. I guess we get enough around here that it is not sold in many places!